History made as the first commercial flight between the United States and Cuba in more than a half century lands in Santa Clara. History was made on Wednesday as the first commercial flight between the United States and Cuba in more than a half century landed in the central city of Santa Clara. Cheers broke out in the cabin of JetBlue flight 387 as the plane touched down, The Associated Press reported. Passengers — mostly airline executives, U.S. government officials and journalists, with a sprinkling of Cuban-American families and U.S. travelers — were given gift bags with Cuban cookbooks, commemorative luggage tags and Cuban flags, which they were encouraged to wave. Relations between the United States and Cuba were formally restored last July, seven months after President Barack Obama and his Cuban counterpart Raul Castro agreed to restore ties snapped in 1961 during the Cold War. The arrival of the flight on Wednesday opens a new era of U.S.-Cuba travel with about 300 flights a week connecting the U.S. with the island. Also Wednesday, according to AP, the U.S. Department of Transportation announced the carriers selected to operate routes to Havana: Alaska Airlines, American Airlines, Delta Air Lines, Frontier Airlines, JetBlue Airways, Southwest Airlines, Spirit Airlines and United Airlines. Airlines are obligated to begin flights within 90 days but may begin earlier. Delta said it would launch daily service December 1 from Atlanta, Miami and New York's John F. Kennedy Airport, "subject to Cuban regulatory approval," with flights going on sale September 10. Obama visited Cuba in March, making the first official visit to the country by an American president after decades of hostility. 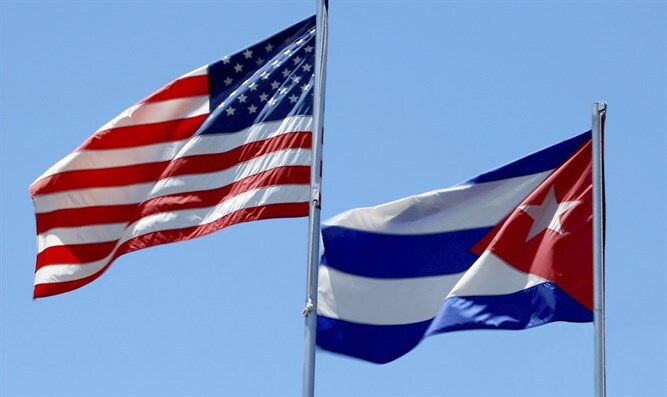 In addition to the reopening of embassies, the United States has also officially dropped Cuba from its blacklist as a state sponsor of terrorism.